The classic Dunlop Fort core has been re-mastered and re-engineered to a higher specification resulting in Dunlop HD Core technology which increases the durability and maintains consistent playability. Dunlop HD cloth has been developed specially for the this ball using first-class woven cloth which has been treated with a special dye that significantly increases visibility. Designed for elite play on all court surfaces. for submitting product information about Dunlop Fort Elite Tennis Balls (6 doz) We aim to answer all questions within 2-3 days. 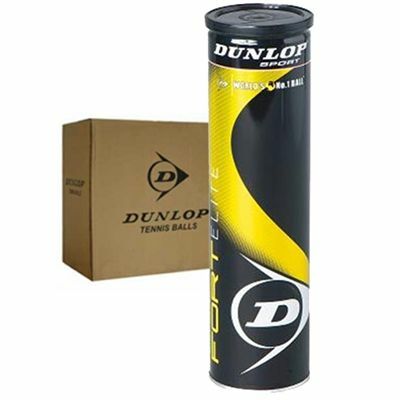 for submitting product information about Dunlop Fort Elite Tennis Balls (6 doz). We aim to answer all questions within 2-3 days. If you provided your name and email address, we will email you as soon as the answer is published. for submitting product review about Dunlop Fort Elite Tennis Balls (6 doz).